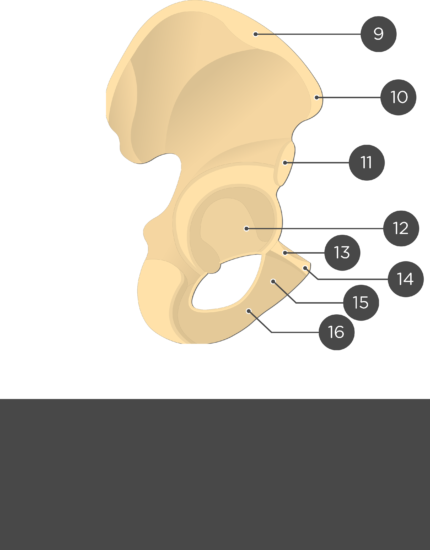 Iliac Crest or Crest of Ilium (Crista iliaca) is the curved upper ridge of the ilium. 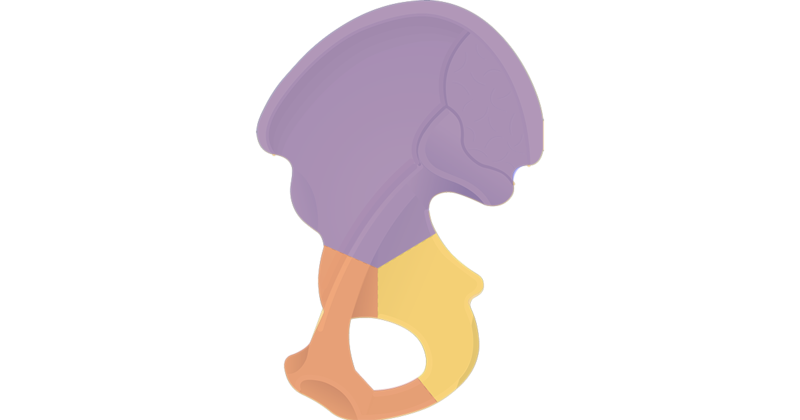 It is an attachment point for the latissimus dorsi, quadratus lumborum, erector spine, iliacus, tensor fasciae latae, and abdominal muscles. 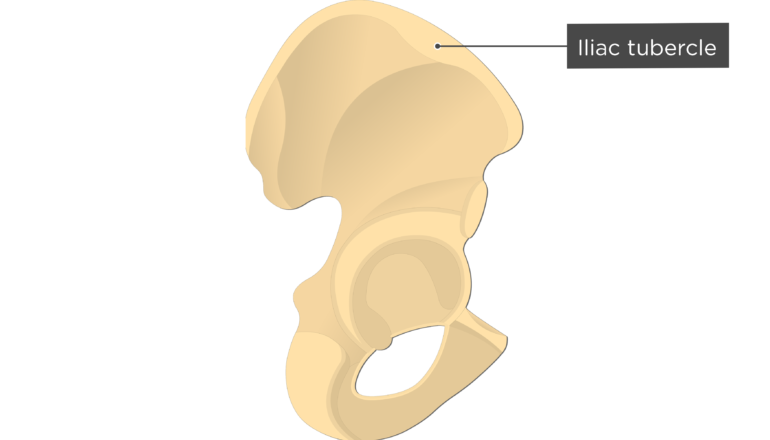 Iliac Tubercle or Tubercle of the iliac Crest (Tuberculum iliac) is a prominent bulge on the outer lip of the iliac crest, near its midpoint. This area is an attachment site for the iliotibial tract or band. Anterior Superior Iliac Spine or ASIS (Spina iliaca anterior superior) is a projection from the anterior portion of the iliac crest. The sartorius muscle and inguinal ligament attach to this elevation. Anterior Inferior Iliac Spine or AIIS (Spina iliaca anterior inferior) is a projection below the anterior superior iliac spine that serves as an attachment point for the rectus femoris muscle. 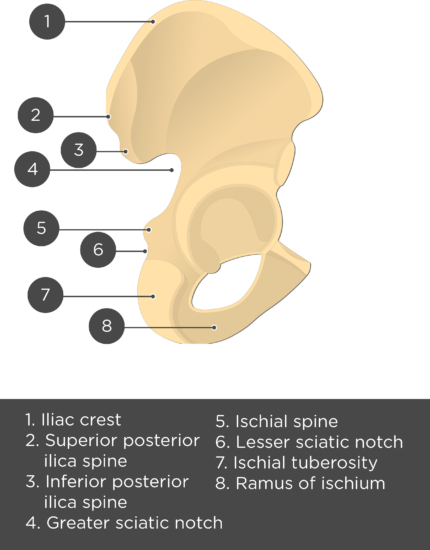 Posterior Superior Iliac Spine (Spina iliaca posterior superior) is a projection from the posterior of the crest. It is an attachment point for the posterior sacroiliac ligament and multifidus muscle. Posterior Inferior Iliac Spine (Spina iliaca posterior inferior) is a curvature found inferior to the posterior superior iliac spine. 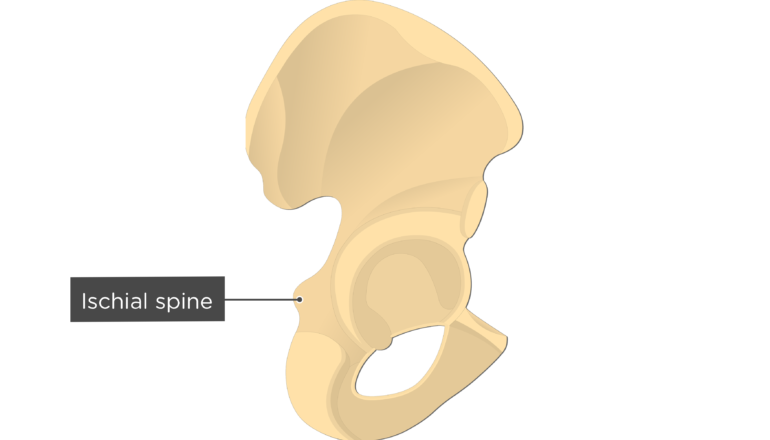 The two spines are separated by a small notch. 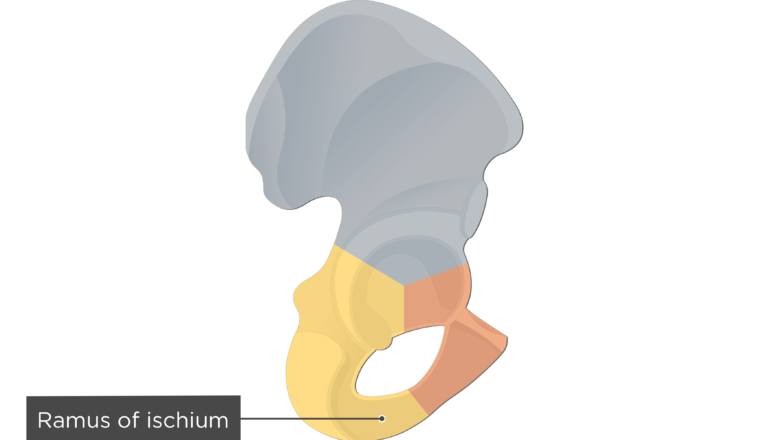 A ligament that binds the ilium to the sacrum attaches here. Posterior gluteal line (Linea glutea poste-rior) is a short, ridge on the external surface of the ilium. It runs vertically between the iliac crest and greater sciatic notch, just anterior to the posterior spines. The line is the anterior attachment point for the gluteus maximus muscle and posterior attachment point for the gluteus medius muscle. Anterior gluteal line (Linea glutea ante-rior) is a long, posteriorly curved ridge that spans the midportion of the external ilium. The ridge serves as the anterior attachment point for the gluteus medius muscle and superior attachment point for gluteus minimus muscle. Inferior gluteal line (Linea glutea inferior) is a slight ridge that runs diagonally across the external surface of the ilium from the anterior inferior iliac spine to the greater sciatic notch. 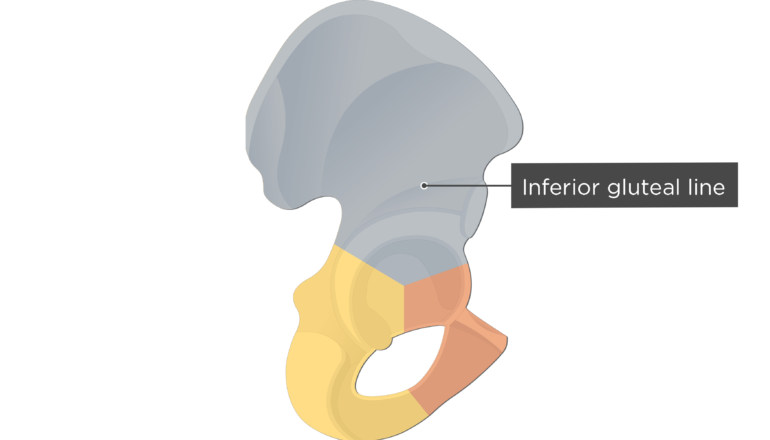 It is the inferior attachment point for the gluteus medius muscle and superior attachment point for the gluteus minimus muscle. 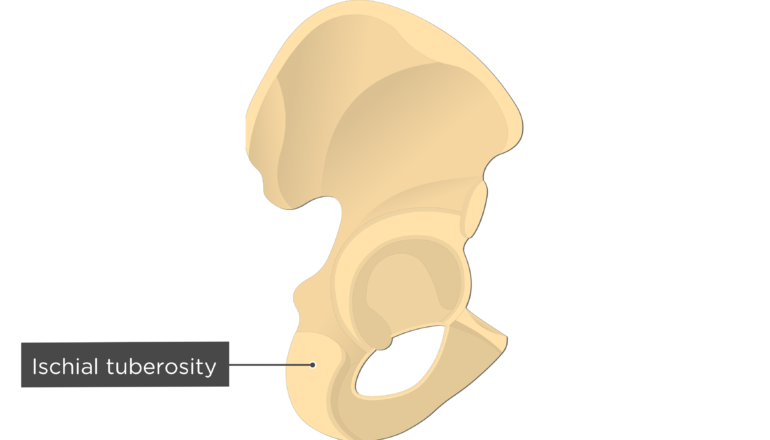 Body of pubic bone (Corpus ossis pubis) is the flatten, medial end of the pubis that lies adjacent to the symphysis. Inferior pubic ramus (Ramus inferior ossis pubis) is a thin, flat extension from the medial pubis that joins the ischial ramus. The adductor brevis, adductor magnus, and gracilis muscles attach along this surface. Superior pubic ramus (Ramus superior ossis pubis) is a band of bone that runs along the superior aspect of the pubis. 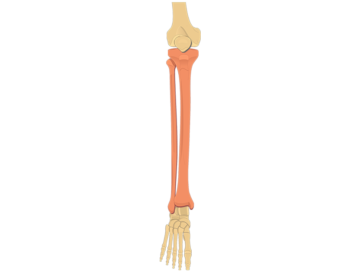 It is an attachment point for the pectineus muscle. Pubic tubercle (Tuberculum pubicum) is a projection from the lateral end of the pubic crest that serves as an attachment point for the inguinal ligament. Ischial tuberosity (Tuber ischiadicum) is a roughened, curved eminence located at the junction of the posterior and inferior borders of the ischium. It supports the weight of the body when sitting and serves as an attachment point for the sacrotuberous ligament and the hamstring muscles, quadratus femoris muscle, and inferior gemellus muscle. (Inferior) Ramus of Ischium (Ramus ossis ischii) is an anterior extension from the ischial tuberosity that joins the inferior ramus of the pubic bone. The adductor magnus and obturator externus muscles attaches to this portion of the ischium. Ischial Spine (Spina ischiadica) is a sharp projection from the posterior margin of the ischium. 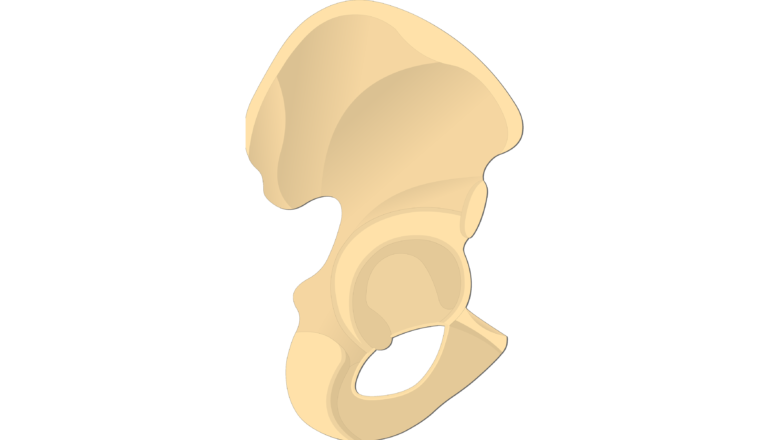 It is an attachment point for the sacrospinous ligament. Lesser Sciatic Notch (Incisura ischiadica minor) is a small indentation located inferior to the spine. The sacrotuberous and sacro-spinous ligaments transform the notch into the lesser sciatic foramen. This opening is a passageway for the obturator internus tendon and nerve, internal pudendal vessels, and pudendal nerve. Greater Sciatic Notch (Incisura ischiadica major) is a large indentation located below the posterior inferior iliac spine. 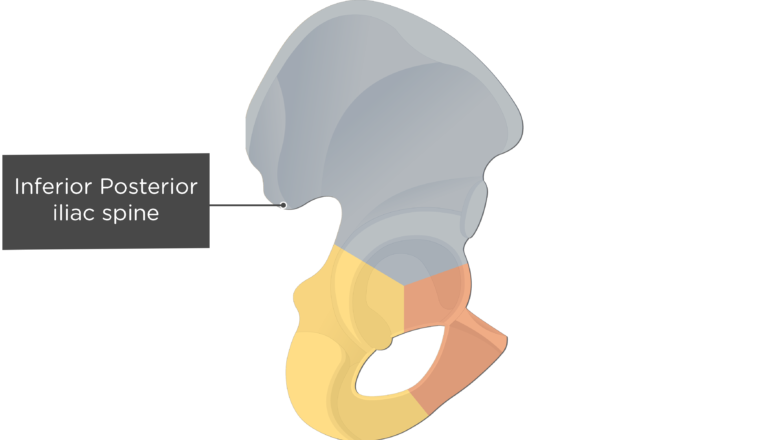 The sacrotuberous and sacrospinous ligaments convert the notch into the greater sciatic foramen, which allows the passage of the performs muscle, 7 nerves (including the sciatic nerve), and 3 sets of blood vessels. Obturator Foramen (Foramen obturatum; foramen obturatorium) is a large anterior opening enclosed by the pubic and ischial rami. The foramen, which is mostly covered by the ligamentous obturator membrane, helps decrease the weight of the os coxae. The obturator vessels and nerves pass through a large canal located in the upper portion of the membrane. Acetabulum (Acetabulum) is a large, rounded depression on the external surface of the os coxa. 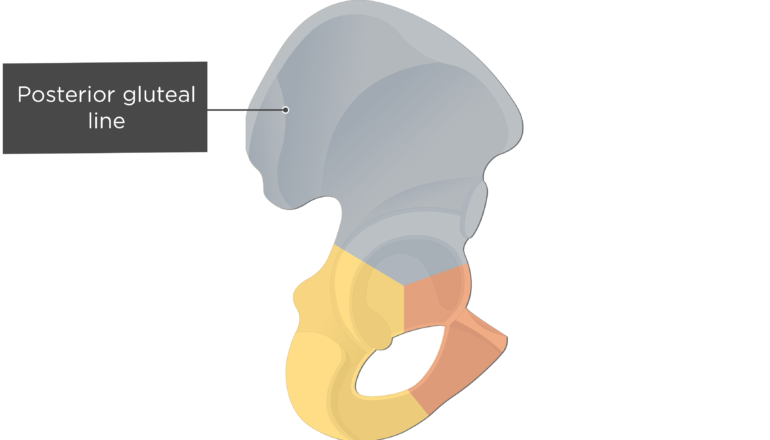 The acetablum is formed by portions of the ilium, ischium, and pubic bones and accepts the head of the femur to form the hip joint. 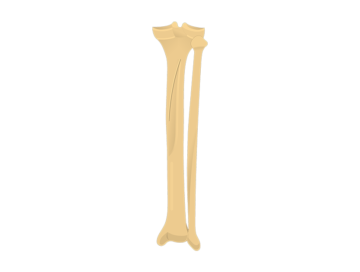 The tibia and fibula are the bones that support the leg. 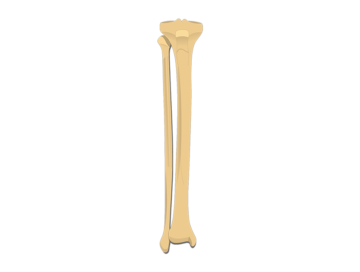 Learn about the anterior markings of the tibia and fibula bones and test yourself. 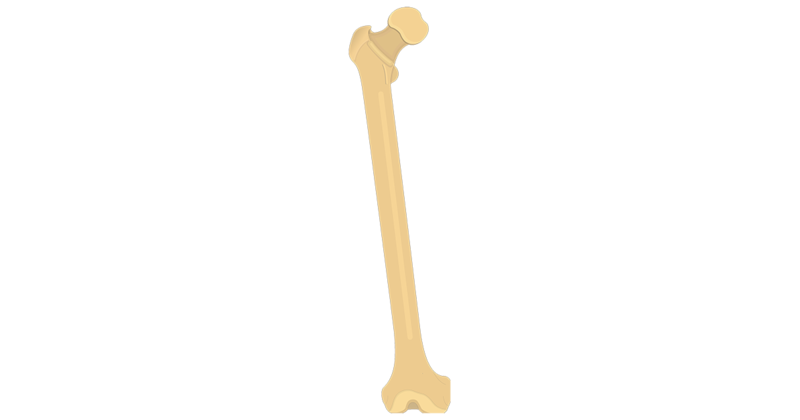 An introduction to the tibia and fibula bones of the leg. Learn about the different markings and test yourself.